Ah sweet things! I love to cook them, I love to eat them, I love to watch them, I love to see others enjoy them! So why not?! 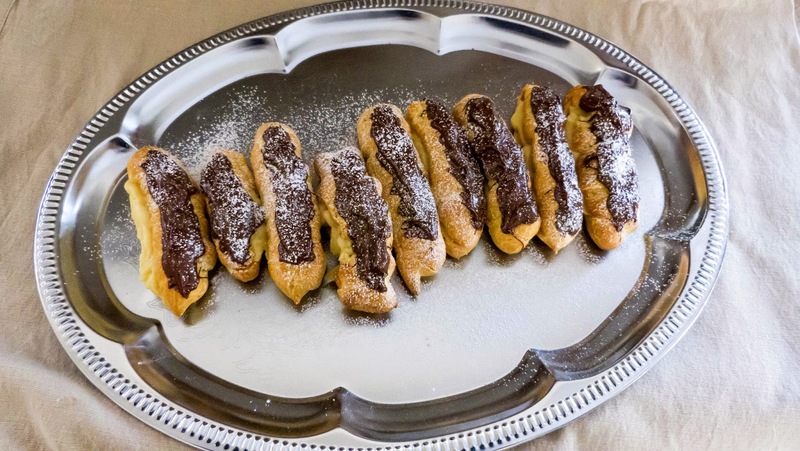 Today, I wanted to share with you the recipe of these wonderful double chocolate eclairs. Another recipe that proves that you can create a beautiful effect without a lot of effort! 1. The white chocolate custard. 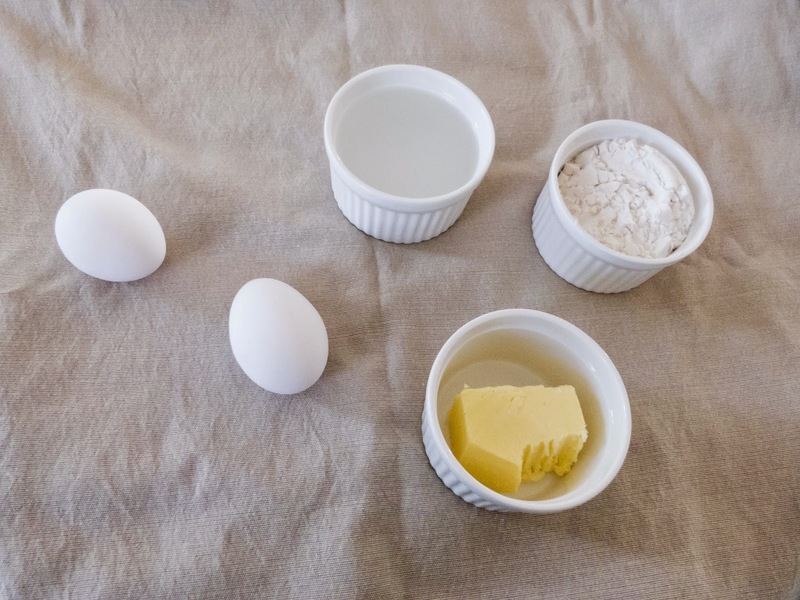 - Whisk the sugar with the eggs and the vanilla extract. Add the flour and continue to whisk until it smooths. Add the warm milk and chocolate chips. - Stir over low heat. - Once the paste thickens, remove from the heat and cover with a plastic wrap to prevent a crust to takes place at the surface. - Preheat the oven to 375°F and put the plate in the center of the oven. - Bring the water to boil with the butter. Remove from the heat and add the flour all at once. Stir vigorously with a wooden spoon until the dough forms a ball. - Let cool, then add the eggs. - Line a cookie sheet with parchment paper. 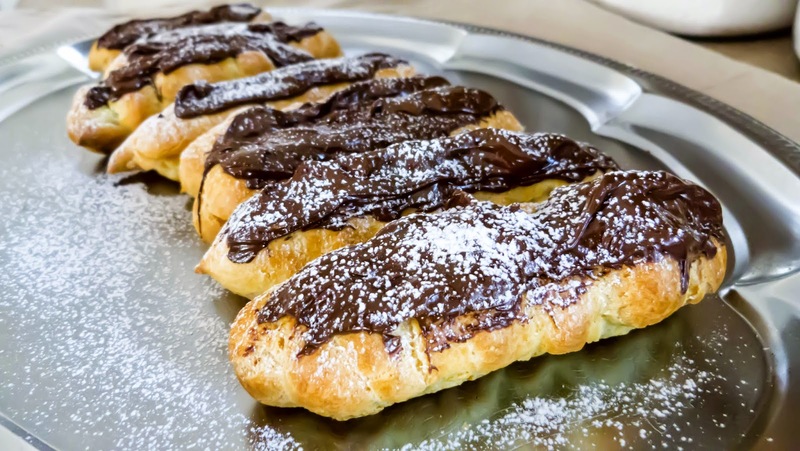 Using a pastry bag, spread the dough on the plate forming eclairs about 7.5 cm long. - Bake for about 30 minutes until the eclairs are golden brown. 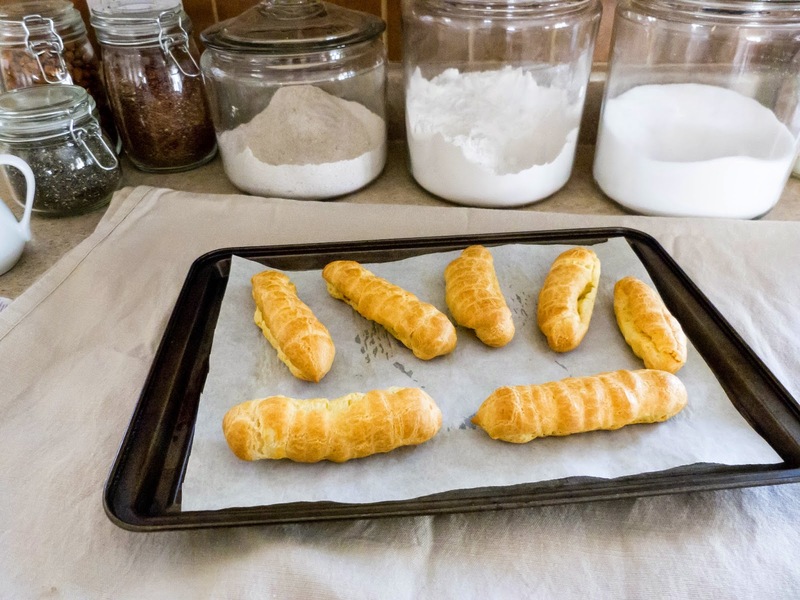 - Make an incision on the side of the eclairs to allow the steam to escape and then return to the oven for 5 minutes until the inside is slightly dry. - Melt about 3 oz of chocolate in a bain-marie. 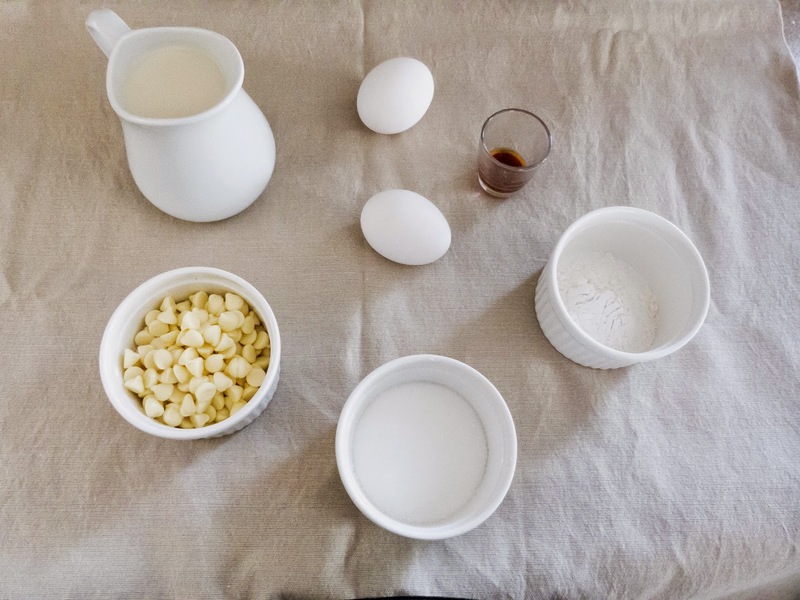 - Using a pastry bag, fill the eclairs through the incisions made earlier. - Spread out the melted chocolate with a brush. - Refrigerate (if you can wait).